Land tenure is the relationship, whether legally or customarily defined, between people (individuals or groups) and land. Land tenure rules are established by societies to define how rights to land are allocated and managed. They define how access is granted to rights to use, control, and transfer land, as well as associated responsibilities and restraints. In simple terms, land tenure systems determine who can use what resources for how long, and under what conditions. Land tenure is an important part of social, political and economic structures. It is multi-dimensional, bringing into play social, technical, economic, institutional, legal and political aspects that are often ignored but must be taken into account. Land tenure relationships may be well-defined and enforceable in a formal court of law or through customary structures in a community. Alternatively, they may be relatively poorly defined, ambiguous and open to exploitation. One of the key GLTN instruments is the Continuum of Land Rights, a powerful alternative concept and approach to simply focusing on the titling of individually held private property. Land tenure is frequently understood in binary terms: formal/informal, legal/extra-legal, secure/insecure, de facto/de jure. However, in practice, a wide and complex spectrum of appropriate, legitimate tenure arrangements exists between these extremities. 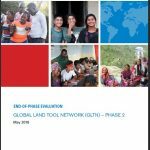 Recognition of this important reality has been part of a global paradigm shift on tenure that has taken place over the past decade, in large part through work done by GLTN and its partners, and is formulated as the continuum of land rights. The continuum of land rights is a concept or metaphor for understanding and administering the rich complexity of land rights on the ground. The rights along the continuum may be documented or undocumented, formal as well as informal, for individuals and groups, including pastoralists and residents of slums and other settlements that may be legal or not legal. The rights do not lie along a single line and they may overlap. Registered freehold is not seen as the preferred or ultimate type of tenure, but is rather one of a number of appropriate and legitimate forms of tenure available (customary, leasehold, group tenure and others). The most appropriate form/s depends on context. Tenure types that best suit both the social, cultural and economic needs of local communities and the needs of responsible land administration authorities at a particular time are advocated. The continuum provides for recognition and an increase in security across the spectrum, with the opportunity for movement between numerous tenure forms. This offers land actors and governments an innovative approach for the realization of tenure security through recognizing, recording and administering a variety of appropriate and legitimate land tenure forms. The full range of rights constitutes legally enforceable claims that can be asserted and defended in a forum such as a court. To get to this situation it would be necessary to develop a regulatory environment and to establish the necessary administration and land records systems. In addition, it would be necessary to develop and test innovative implementation tools to fill the land recordation and other gaps that exist in conventional land administrations and to roll these out at the country level. Crucially, it would require a political environment that recognizes the need for tenure security to everyone, including those who are poor and marginalized. Successful application of the continuum of land rights, therefore, depends on existing contextual challenges and opportunities, and the application of innovative land tools at scale. A well-supported, sustained and locally driven strategy involving multiple partners is crucial. This is the main work of GLTN. Elements of the continuum of land rights in practice can be found in many contexts. Research by GLTN in Southern Africa (Malawi, Namibia, Angola, Mozambique and South Africa) has found compelling evidence that elements of the continuum of land rights already exist in the diversity of deep-rooted, contextually appropriate and legitimate practices and systems. These include: witnessed rights to land; locally documented rights to land (security via social legitimacy); familial / marital rights to land; administratively documented rights to land (security via official recognition); occupation rights / permission to occupy; customary land rights; group rights to land; de facto rights of possession; various forms of leasehold; and individual private ownership / freehold. Namibia has passed a law called the Flexible Land Tenure Act, which provides for the creation of a simple land tenure form that is registerable in a public registry. With the support of GLTN partners, Namibia is in the process of passing regulations and making institutional arrangements for the establishment of a Flexible Land Tenure System incorporating a broader spectrum of land rights in urban areas. In recent years, an increasing number of key land actors have embraced the continuum of land rights approach to promote tenure security. Within GLTN, a large majority of GLTN partners regard the continuum as highly relevant to their work, and a similar proportion has practically applied it. Uses have included contributions to policy and legal reform; changes in land administration practice; advocacy, teaching, training & research; capacity development for land practitioners; and community participation and action. In all cultures land holds fundamental traditional, religious and social value. For this reason, land rights impact profoundly on the lives of families and their status within their community or group. Secure land rights include not only individual private rights. They also encompass collective use rights, for example at the community or village level. Access and use rights to natural resources such as grazing land, water, forest or forage food are likewise linked to land rights. This means that a wide range of access and usage rights exists between the two poles of formal and informal land rights and systems. 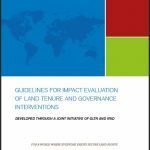 During 2016, GLTN consolidated its theoretical, analytical and practical work on the continuum concept and approach to land tenure. It presented a paper at the World Bank Land and Poverty Conference 2016 on the results of five continuum research and development projects, the presentation of a Master Class on the continuum at the same conference, and the publication of the Framework for Evaluating Continuum of Land Rights Scenarios. 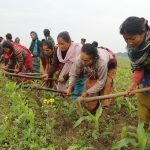 As a result of these efforts, and the roll-out of enabling land tools such as the Social Tenure Domain Model, Participatory Enumerations and the Gender Evaluation Criteria, an increasing number of partners and other key land actors are adopting more open and inclusive land tenure terminology and programmes. Meanwhile, practical use of the continuum concept by partners has continued. Habitat for Humanity International (HfHI) included the continuum in its Take Action Tool Kit as part of its three-year Solid Ground Campaign, which is focused on promoting land policies, laws and systems to improve access to adequate shelter. In support of this more open, inclusive land tenure approach, a survey conducted by the Terwilliger Centre for Innovation in Shelter for HfHI’s of 83 financial institutions practising housing microfinance found “compelling evidence of the ‘continuum of land rights’, suggesting that a formal versus informal perspective toward land rights is too simplistic in practice. Instead, households work along a trajectory toward secure, formal land rights. As such, although formal land documents can be held as a type of collateral for a housing microfinance loan, many other forms of guarantee are accepted by responding institutions. Furthermore, the survey results revealed that institutions will accept many types of land documents, ranging in formality, in lieu of a title (Habitat for Humanity, The 2015-16 State of Housing Microfinance: A Review of the Housing Microfinance Practice Around the Globe, p.9 ). In addition, GIZ argued that: “The wider spectrum of ‘land tenure’ can further be demonstrated at the ‘continuum of land rights’. Count me in: Surveying for Tenure Security and Urban Land Management. A key challenge is how to make sure that the information produced by an enumeration exercise is also used to strengthen security of tenure through state recognition, and for use in physical planning. Participatory enumeration is an important tool for the achievement of tenure security. 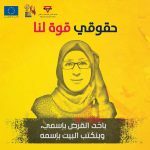 It can be used alongside and in support of, among other things, the Continuum of Land Rights, the Social Tenure Domain Model and the Gender Evaluation Criteria. Enumerations are a fundamental part of the slum upgrading process. It is intended to establish information on the population size, ownership patterns and the state of infrastructure. Enumerations provide the means by which not only data is gathered to allow for local planning, but also the process by which consensus is built and the inclusion of all residents negotiated. Enumerations are means to federate and organize communities and involve them in large-scale slum-upgrading projects. 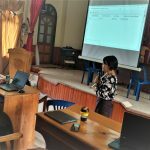 The experience with enumerations worldwide has revealed the importance of having people from the community as the main enumerators rather than developing a specialist team of external enumerators. How an enumeration is done and who does it, is as important as the information it collects. In informal settlements, there might be groups and sub-groups and complex micro-politics that may act to exclude or hide some of the poorest households. All community processes as they stand may not be positive. Therefore, mediation and negotiations while surveys are ongoing is important to ensure sustainability and justice. A participatory approach also allows for community validation and accountability, thus improving the quality and relevance of the data gathered. Identify and develop global norms for secure tenure. An inventory of public policies and practices on informal settlements and customary tenures. The lack of reliable records of land rights and transactions at local or central levels is one of the main problems hindering the development of land markets. This concerns mainly, but not exclusively, informal and/or customary land markets. Even when titles or deeds have been issued and formally registered, land transactions or transfers may not be systematically recorded, or are recorded in registers that are not properly kept or updated. The cost of creating and maintaining land records, both in human and financial terms, has meant that less than 30 per cent of the developing world is covered by land records held in a registry. Inadequate land records give rise to a series of difficulties: problems identifying right-holders, risk of multiple sales of land plots, use of forged deeds or titles. This situation increases insecurity of tenure and generates land disputes, and, without formal records of deeds or titles, landowners cannot access mortgage loans. 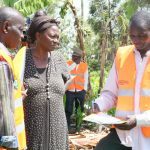 Land management is also limited by a lack of records as it is difficult to set up economic and social services, such as roads, electricity, clinics, etc., without land records that also indicate state land. Cadastres, or any other appropriate land information systems, may improve land record management. However, they are a long-term objective. In the short term, simplified record techniques and procedures need to be set up that are compatible with existing land information management systems (LIMS), if any, and can be incrementally improved over time and integrated into LIMS operating at district, city and national levels (technical obstacles, access to or updating of land-related information, and cost incurred). Customary tenure, including communal tenure, is critical in both rural and urban areas. It is a form of holding land that follows the customary norms and practices of a particular community or group. This means that it is unique to every group or community and its peculiarities, although there may be similarities in all the groups. In many countries, the only tenure type available is customary tenure. The challenges and pressures on customary tenure systems are many: insecurity, conflicts, land market inconsistencies and inefficiencies, gender discrimination in customary systems, and the reluctance of some governments to formally recognize customary land tenure. Furthermore, the decrease of customary land reserves combined with the accelerated commodification of customary lands is leading to increased competition for access to land. For most poor people in sub-Saharan Africa, the Pacific and some parts of Indonesia, low-income demand for land is overwhelmingly met by informal delivery systems, which combine customary practices with other informal and formal practices. They work through individuals who have received their land rights from a customary system, but who treat these rights as market commodities. The failure of governments to provide land for the low-income sector and the weakness of formal private sector systems have strengthened the attractiveness of customary land delivery systems in peri-urban areas, including on land which is not customary in the first place but belongs to the state. They are delivering land to the poor that formal systems have failed to provide. Compared with formal land delivery processes, Customary Land Tenure systems can deliver at scale, are cheap, and provide fast access to bigger plots. In many settlements, a grassroots land management body can mediate and arbitrate land disputes and make requests for services and development to public authorities. Legal pluralism, land market diversity and the reluctance of governments to formally recognize customary land delivery and customary social land tenure systems give rise to land policies whose unintended impacts can further reduce the access of poor households to shelter on the one hand and food security on the other. Furthermore, the drying up of customary land reserves combined with the accelerated commodification of customary land delivery systems is leading to increased competition from low-middle and middle-income groups for access to land.